Sensirion’s SHTC3 digital humidity sensor builds on the success of their SHTC1 sensor. The SHTC3 has a broader supply voltage range (1.62V to 3.6V) and higher accuracy (±2% RH, ±0.2°C) than its predecessor, enabling greater flexibility. 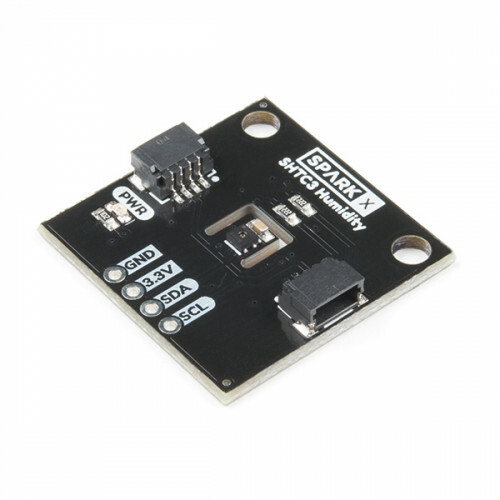 The SHTC3 is low cost, easy-to-use, highly accurate, digital humidity and temperature sensor. 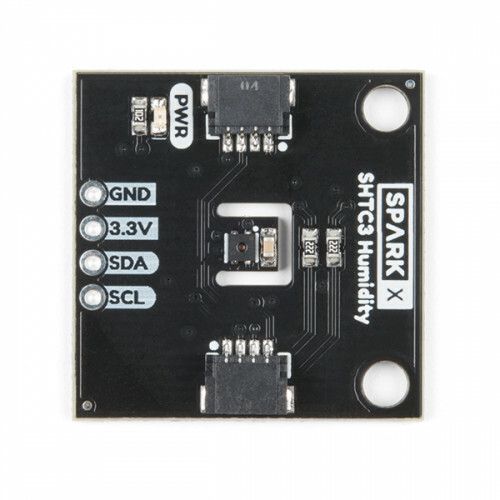 This sensor is ideal for environmental sensing and data logging and perfect for build a weather stations or humidor control system. All you need are two lines for I2C communication, and you’ll have relative humidity readings and very accurate temperature readings as a bonus! Hook up is a breeze with as the breakout board is using the Qwiic connect system. The breakout board has built-in 2.2 kΩ pullup resistors for I2C communications. If you’re hooking up multiple I2C devices on the same bus, you may want to disable these resistors. SparkFun Qwiic Quad Relay The SparkFun Qwiic Quad Relay is a unique power accessory board that has been designed for switching not one but four high powered devices from your Arduino or another low p..
Screw Terminal Shield V3 For Uno The Screw Shield extends all pins of the Arduino out Screw terminals (3.5mm) The 5v power and GND busses has been extended onto the prototyping area. We also added a ..
Qwiic JST Connector - SMD - 4-Pin Here is a tiny 4-pin Qwiic 1mm JST connector. 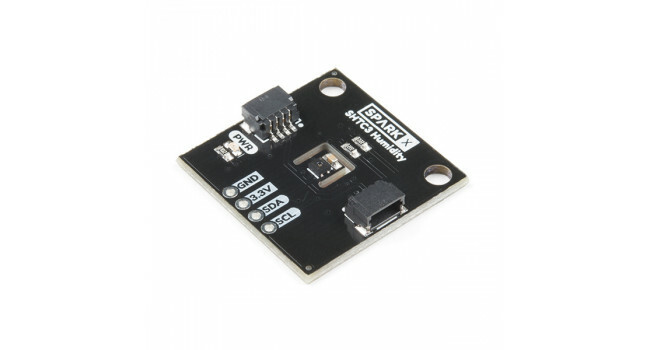 This connector is used on all of the Qwiic-based boards and can be used to create your own I2C-based device compatible ..
Qwiic Cable - Breadboard Jumper (4-Pin) This is a jumper adapter cable that comes pre-terminated with a female Qwiic JST connector on one end and a breadboard hookup pigtail on the other. This cable ..
Qwiic Cable - 100mm This is a 100mm long 4-conductor cable with 1mm JST termination. 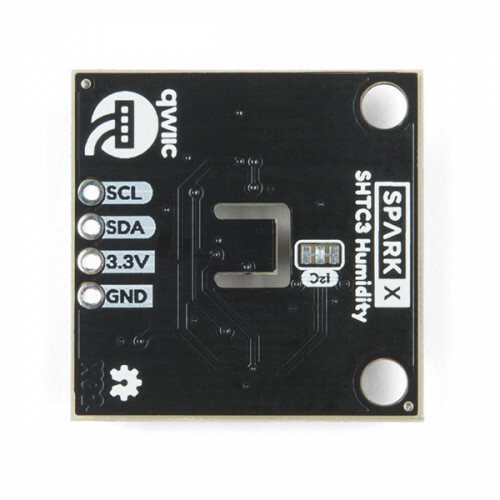 It’s designed to connect Qwiic enabled components together but can be used for other applications as well. Each Q..